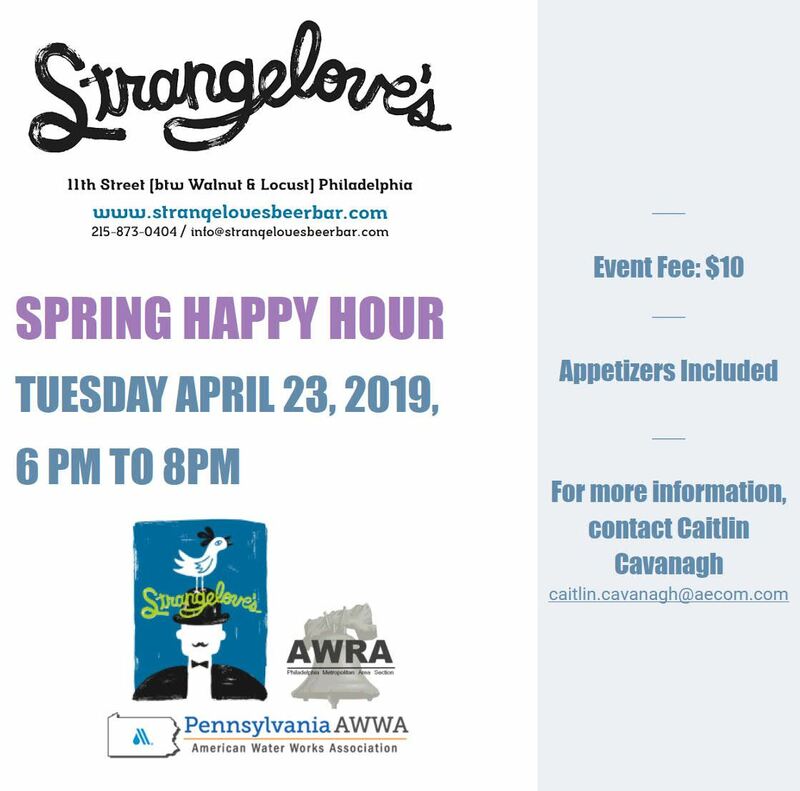 Join PA-AWWA and AWRA Philadelphia for a Happy Hour at Strangelove’s beer bar in Center City! Please sign up via the sign up link. You can pay the $10 event fee in advance through PayPal or with cash at the door. Appetizers will be included. Hope you can join us!